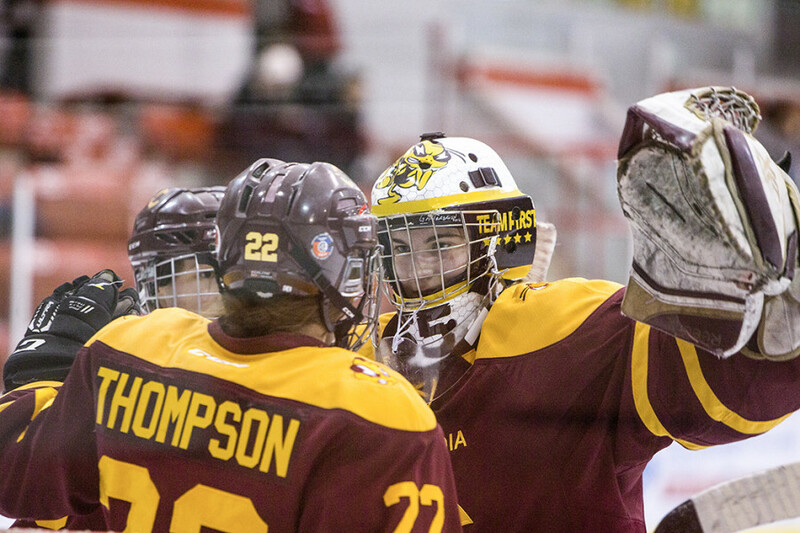 Fresh off of a 3-1 victory over Brock University, the Stingers women’s hockey team searched to build a streak against the York Lions. Playing the second game of a three-game exhibition homestand, the Stingers got off to a slow start against the Saturday night opponents. York came hot out the gate, playing with “more jump than [Concordia]” through the first five minutes according to head coach Julie Chu. However, things started to look up. Praising seasoned goaltender Frédérike Berger-Lebel, Chu notes that her players were able to keep their opponents at bay before finding their footing, coming on strong through the final half of the first period. Forward Keriann Schofield opened the scoring with for the Stingers with 13:49 remaining in the first, only to have York answer back just under 30 seconds later as a Concordia defender pulled the puck off the goal line but right into traffic in front of the net, creating an opportunity that York would not miss. 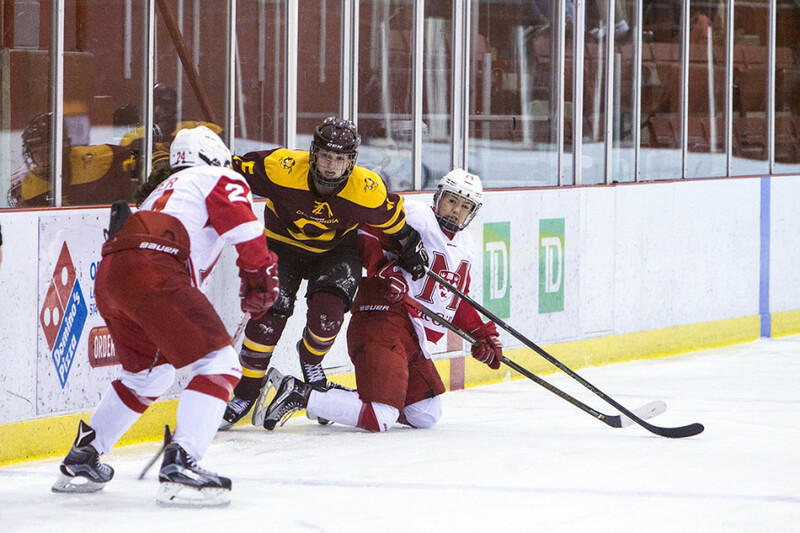 Just over five minutes later, Concordia forward Marie-Pascale Bernier put the Stingers back up 2-1. Things got chippy nearing the final five minutes of the period, with Concordia and York each receiving minor penalties within seconds of each other. York’s physicality was not to be missed on the ice Saturday, as the team’s style of play had them grinding hard in the corners to win puck battles, knocking the Concordia skaters off of pucks with ease. However, the Stingers did have a game plan for this; speed and intensity. “Our game is going to be more of a speed game, [taking] away time and space whenever we can” said Chu of the Stinger’s style of play for this season. The strategy was definitely a success as just before the final buzzer of the first period. Concordia put another puck in the net, bringing the score up 4-1 in their favour. The second period saw two more Stingers goals, as D’Onofrio scored her second of the evening just two minutes into the period. Schofield added her second of the game, as well. The Lions managed to scrape together a second goal, but it was too little too late for the guests from Ontario. The final moments of the game proved uneventful from a scoring standpoint, but tensions seemed to rise between the two teams. Play became much more physical, with York taking three more penalties and Concordia taking two before the final five minutes of play. Chu and her Stingers are hoping they can make it three in a row Sunday evening against the Queen’s Gaels before heading out of town for a six-game road trip that’ll take them to Boston, Calgary, and Connecticut, before their regular season opener on 15 Oct. at the University of Ottawa.